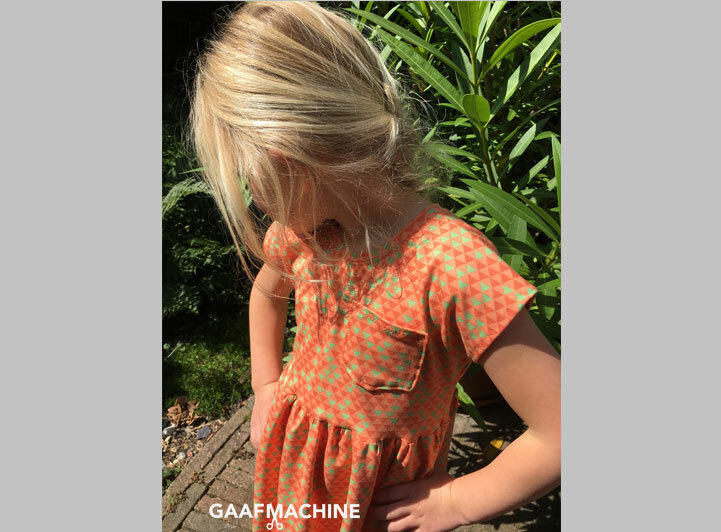 Wow, it’s been a while since my last blogpost… Life has been hectic with work, social events, summer holiday… When I heard of the newest One Thimble issue, I couldn’t wait to get started! This issue, already #16 (wow! ), has again so many great patterns. And I love the theme….It’s an under the sea inspired theme. 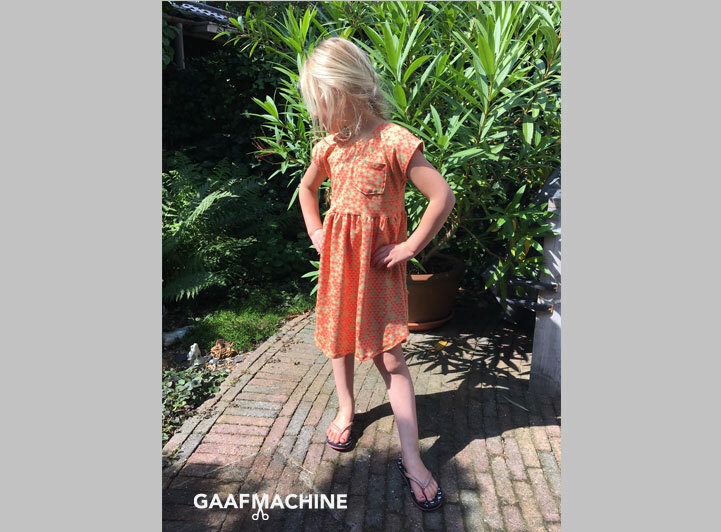 And although we are already halfway our Dutch Summer, Isabella didn’t mind me making a few more summer outfits :). And there is a giveaway involved, so make sure to read all the post to find out 🙂 . So, I started with the super cute Scuttle Shorts , a contribution from Ainslee Fox Boutique Patterns. I love the simple design, though it has enough options to color block or lengthen or shorten it. Isabella loved the light blue colored fabric with rainbows and I was lucky to have some dark pink knit left in my stash (don’t you just love shopping in your own fabric stash ?! lol). 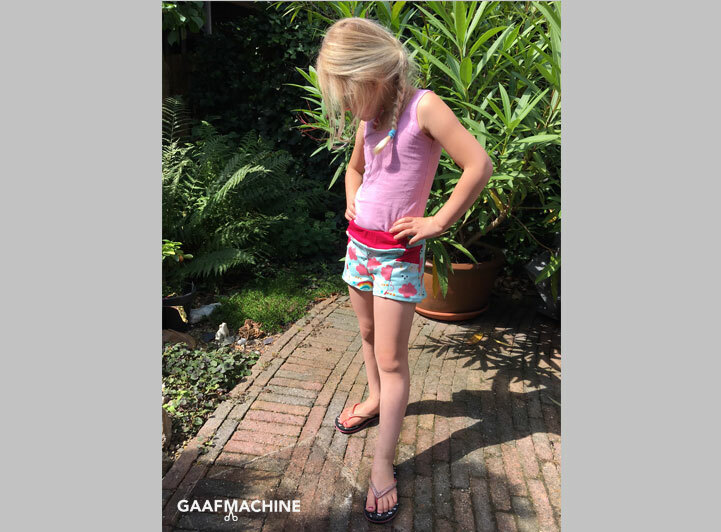 So the match was made and Isabella wanted to be able to use the shorts for her upcoming gym classes as well, so we chose to make the short version. I love the fit! It’s just spot on. I am sure I will be making many more Scuttle Shorts in the (near) future…. And since school starts here again in about 2 weeks, Isabella wanted a new and comfy dress as well. 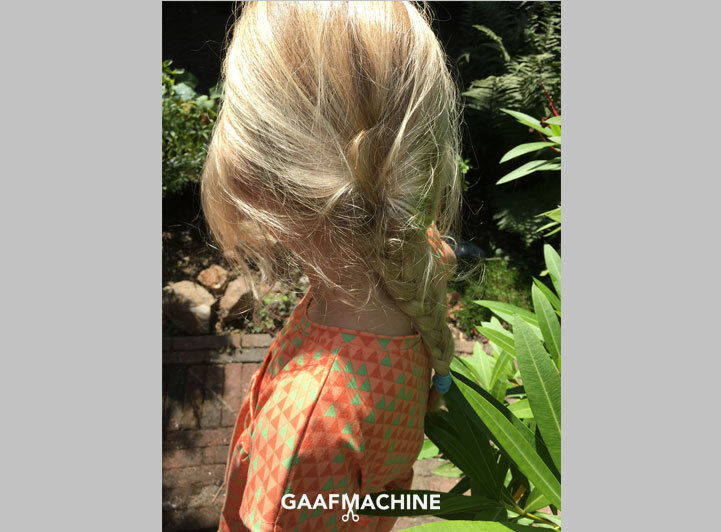 So when she saw some pictures of the Pearlie Dress from Peach Patterns, she was very clear it had to be that dress! 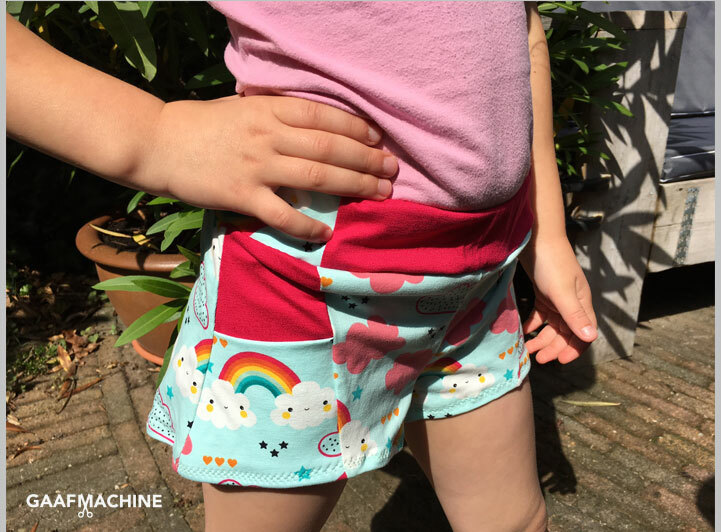 Ha, that’s convenient right, a 6 year old knowing exactly what she wants… (uhm, well, most of the times then, sometimes it becomes a bit of a struggle as well, but I guess you all know exactly what I am talking about 😉 ). The design has a dolman sleeve and you can choose between a slim-fit and relaxed-fit bodice. I made a straight size 7 whit a slim-fit bodice and the fit is perfect! More choices to be made, a standard or narrow neckband and a choice of 3 patch pockets. I love these kind of patterns with several options. Ready for school? Well, not yet. Isabella still has 2 more weeks to enjoy her summer holiday and in between work we will go out and have fun. And hopefully there will be some time to sew some more new outfits (maybe even for myself…?). Now about the giveaway…would you like to win a free copy of the newest issue? And if you can’t wait to get your own copy of this issue, make sure to visit the OT website! Please hop on over to all the beautiful makes! This OT#16 tour is going to be amazing with the under the sea theme! Love these two garments ! Your fabrics choice is so cute !! Would love to win the issue! 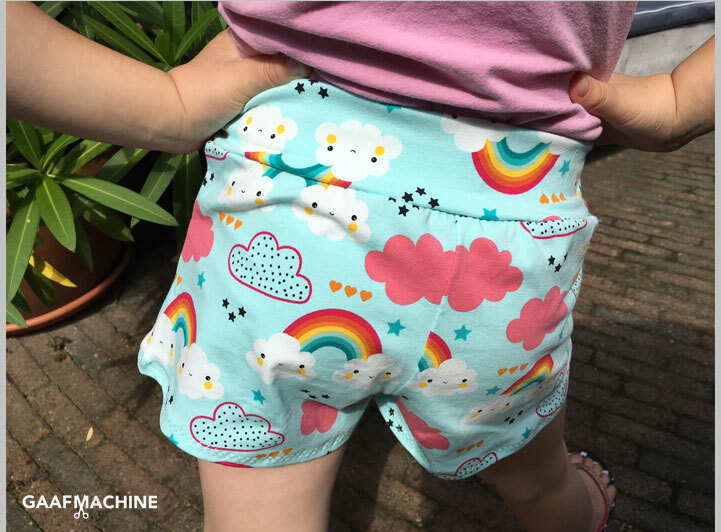 The rainbow fabric on the shorts is a great choice!